Within the last week, I've been learning a lot about blogging. I really thought I knew more than I did, which has been a tough, humbling experience. I'm glad that I am learning, but sometimes it's much easier to bury my head in the sand and just pretend I am smarter and more skilled than I am. I'm not gonna lie, I have a lot of anxiety about all that's left to learn. I am entering this Monday with some discouragement and frustration about whether or not I've got what it takes. But I am also entering this Monday with a greater knowledge that I do have what it takes, and I have a wonderful platform to encourage people. I don't have to know everything or be the best blogger in the world in order to make a difference in people's lives. The same is true for you. Whatever your calling is, and wherever you find yourself right now, you can use that platform to make a difference. Humble yourself, and know that God can use you for His glory despite any limitation you may be facing. God doesn't expect you to be perfect. God doesn't expect you to be the very best in your field or to know how to do everything. 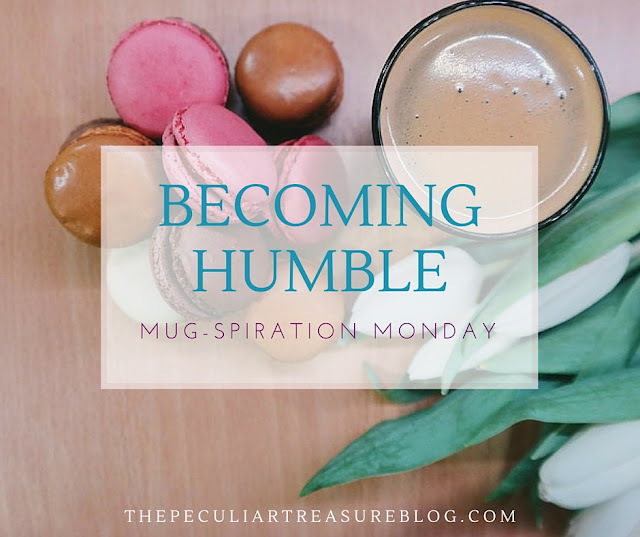 What He does expect is that you humble yourself before Him, knowing that He can accomplish great things through you, because of His own power. 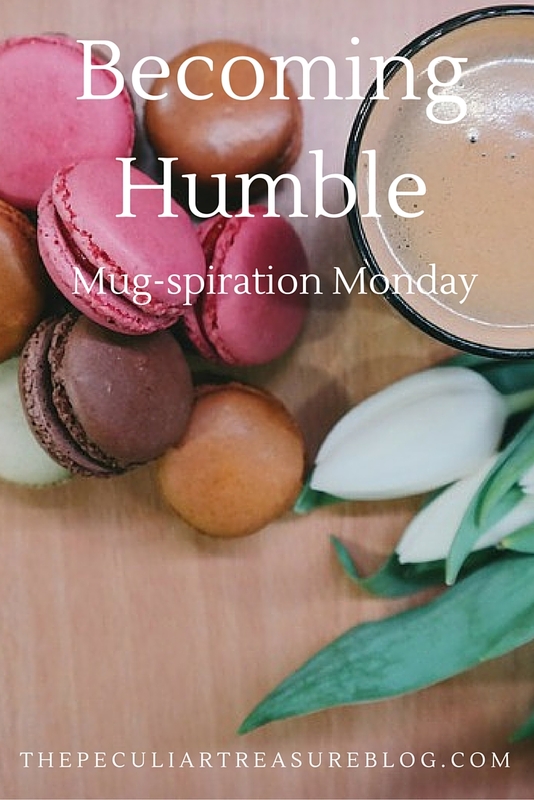 So this Monday, take today to be humbled. Step back and realize that great things can happen through you and your life, but not because of anything you can do. God is the Author of all good things. So instead of feeling discouraged, frustrated, or saddened, let's instead give God the power. Let us give up our desire to be perfect, to be right, and to know everything. Let us rely on Him to do awesome things in and through us. Even if one person reads something you wrote and it inspires them or lifts them up, then you have been successful at blogging. God doesn't call on is to be super heroes, he calls on us to be human. :-) and you've already inspired me this morning so count that as a success! Thank you, Molly! That means a lot! I love the message behind this post! i also love that you opened up about blogging--trust me, girl, I feel the same way sometimes! It's always best to rely on Him when you need it! Commenting from The Peony Project, and it's lovely to "meet" you! What a wonderful reminder. Thanks for sharing! Kind of on the same topic - you have to listen to the new Tim McGraw song "Humble and Kind" - you would love it! Oh cool! I haven't heard that one! Love the inspiration as always! Happy Monday, dear! I think that is some great advice and inspiration. Definitely needed it this morning, so thank you! Good! I'm so glad it helped! This is definitly a subject I've been struggling with over the course of Lent, quite a bit. I'm sorry. I hope it gets better soon! Such a good reminder! I often feel like giving up when I know I'm not particularly excelling, and I need to remember that God's strength can show best when we are not trying to cover it up with our strengths. Truly is humbling! So true. It brings more light to me about what "My weakness is His strength" really means! Fantastic post. This is a real inspiration to start the week. We really don't need to know it all. Thank you. Thank you for reading, Wendy! I am so glad it was an encouragement! God periodically has to humble me, and it's usually a very painful experience - for others as well as myself. My area of wrestling with God is in having a servant heart and attitude. When will I ever learn! Thank you so much! I cannot tell you how much that means!